Desert Solitaire is on my wishlist already, and I think my brother might have a copy of The Monkey Wrench Gang. I’ll have to find out. Thanks for the recs! I think I’d rather read about it than experience it. I’m adding this to my “to read” list. Thanks for this post. 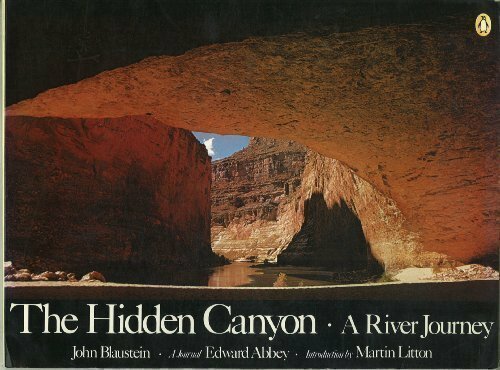 The Hidden Canyon is not something I would read otherwise. I understand that! It was a pretty terrifying experience, but one I wanted. There are plenty of other experiences that are terrifying to me and I would never do, even though others are willing to try. It’s definitely worth reading about those things though – it’s truly a window to another world. I hope you enjoy it!